Having a reason why increases motivation. It’s the why that keeps us going long after the initial spark of inspiration and excitement are long gone. A why can be intangible: a sense of duty, a belief, a restless drive, a feeling of joy. A why can be tangible: your family, a contract, money, a deadline. What’s your why? 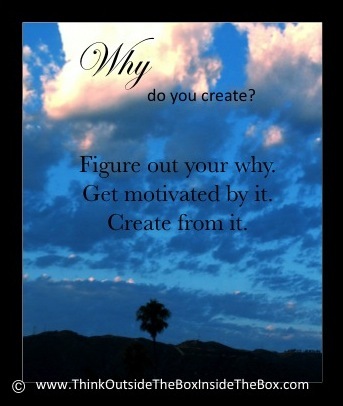 Whatever your why is, let it feed you the motivation you need to create. Your why is the most important thing you have to create from! Figure it out. Let it motivate you to create from what you have.